Welcome to 10th episode of AMIcast! Today we have special guest, member of Apollo Team, FPGA processor developer - BigGun - Gunnar von Boeh. This means we talk all about the hottest Amiga accelerator - Vampire II for A600. My first impressions from Vampire II are on my blog entry: Vampire II Amiga 600 - first install. It's also first episode made through telephone, so quality can be not the best, but it's worth to hear. We talk about Natami project, FPGA development, PowerPC development, AmigaOS 3.x as open source option and AROS Vision (for 68k). 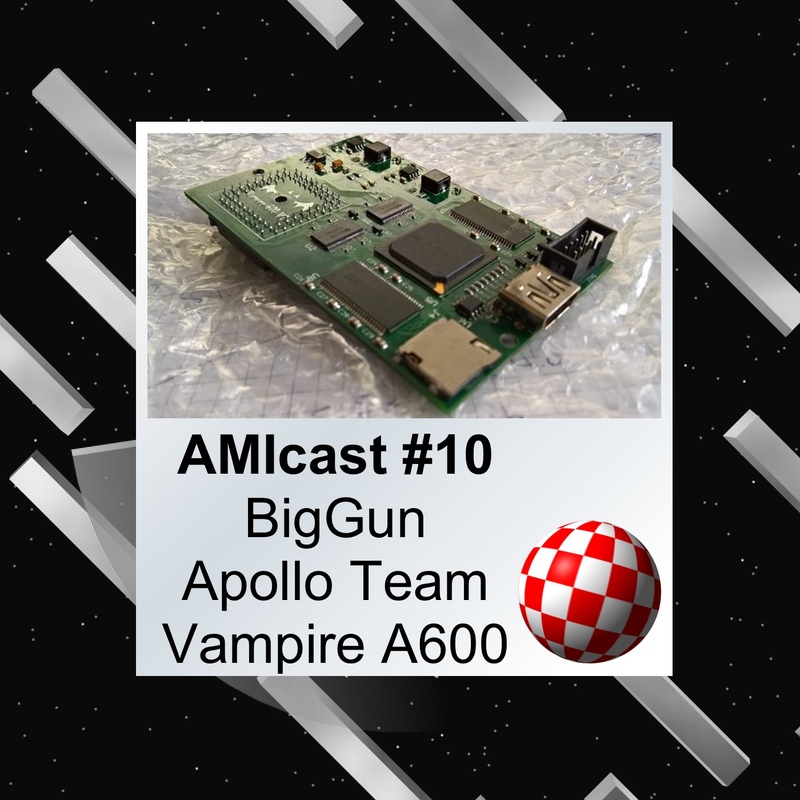 We also talk about Vampire features and updates, about version for Amiga 500 (and also possibilities for A1000, 2000 and CDTV) and about developing new software that can use new instructions implemented in FPGA. The episode has a background music from VjDominion and at the end great song from Moby, from his album: Final Swap (Ludum Dare #31) - Battle Theme. Radziu się wysilił, czy było zwykłe lizanie d... bo to nie ppc? It looks like Vampire indeed can be something new and refreshing for Amiga.